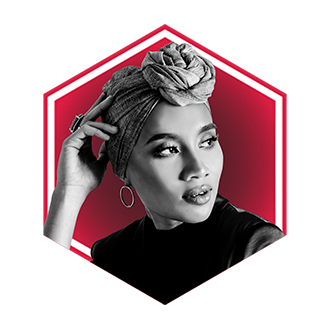 Yunalis Zara’ai, or professionally known as Yuna, keeps Malaysians proud as she makes waves in the West with her honeyed vocals and songwriting abilities. Her third studio album Chapters is a tour de force, having received solid reviews and ranked among Billboardʼs Top 10 Critics’ Choice R&B records of 2016, alongside albums by Beyonce and John Legend. Musical talents aside, the hijab-wearing songstress is most appreciated for her honesty and courage to stand up for her religious beliefs in Hollywood, which has later informed the modest chic style of her own clothing brand November Culture.